The blog has been under “construction” the past few months. It’s back now and promises to be better than ever. By construction I mean, this blog has been neglected due to the recently opened, 93,000 square foot expansion at GVMH. The expansion has been fully occupied. The new Emergency Department is in service and the fast track process for patients who have less acute needs, like sore throats and ankle sprains, has been rolled out. The purpose of the fast track is to get patients in and out of the Emergency Department in a more timely manner. There is a special fast track waiting area inside the department and patients who don’t need a bed are never taken to a bed. New surgery suites are in use. We used to have four operating rooms and now we have six. We have six of the largest, most technologically advanced surgery suites anywhere in the region. The new operating rooms accommodate new and additional surgical procedures and quicker turnaround time between surgical cases. The Imaging Department has a home in the expansion and now all of our Imaging Services (x-ray, CT, MRI, mammography, ultrasound, nuclear medicine and PET scan) are all in one place. Patients needing multiple imaging services are now only steps away from the service they need as opposed to a floor away. The Outpatient Treatment Center is up and running and we are able to host more specialty clinics like Oncology, Cardiology, Nephrology and Pulmonology. 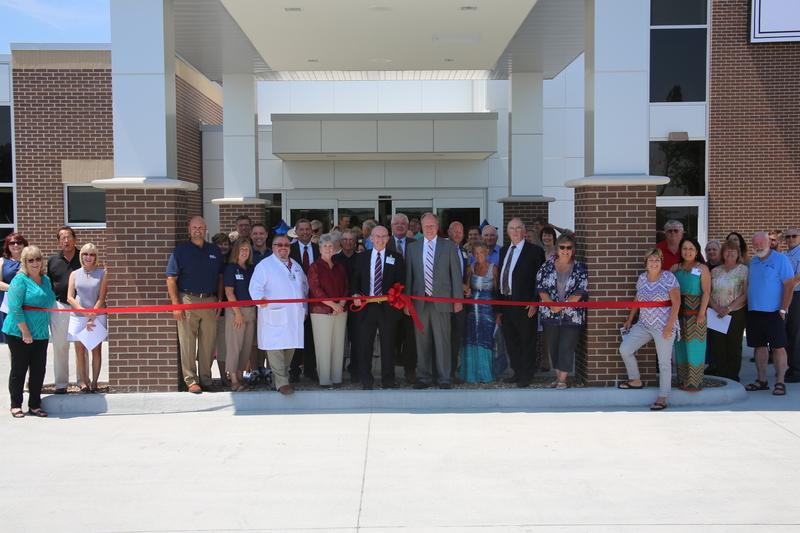 Wound Care finally has dedicated space and is no longer borrowing space from other departments. The infusion area now offers more privacy for patients and will accommodate 8 more patients than the previous area. Cardiac Rehab offers patients the best view anywhere in the facility. There is a walking track integrated into the floor and 8 additional pieces of equipment so patients no longer have to wait for a piece to free up. 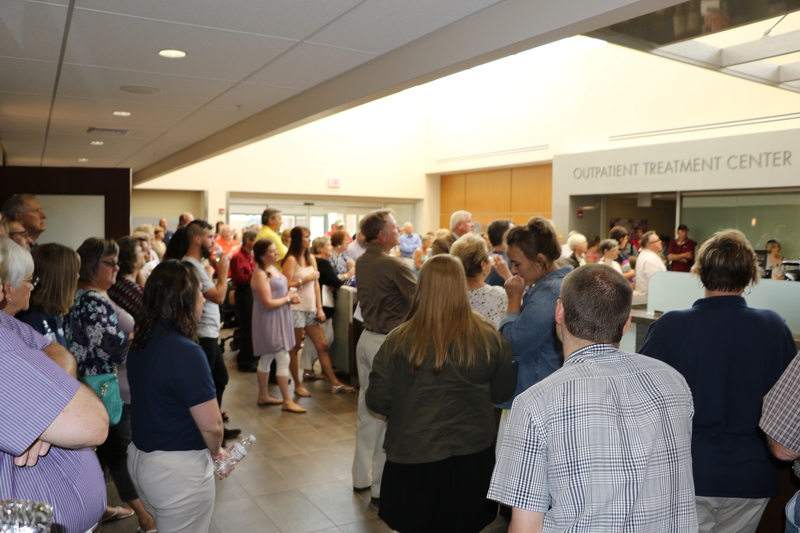 The Outpatient Entrance provides easy access to many of our outpatient services and as construction continues over the next 18 months, the corridor coming off the outpatient lobby will provide convenient, easy access to all of our outpatient services. The lobby itself is warm and friendly. Our great volunteers greet patients when they enter, Registration is conveniently located just inside the entrance. The artwork is beautiful and the Bistro provides great food and drink for the convenience of our patients and visitors. Parking and services are all ground level and additional curb side parking just opened last week. The entire outpatient expansion was created to improve access and convenience for our patients and visitors and there’s much more to come!